Hello again! So, Fall is here and its time to change up our style and beauty routines. I love sharing some of my favorite trends with you and then hearing from you about yours! I haven’t be able to try too many of these yet as its been staying around 85 degrees in NYC but I can’t wait for the crisp Fall days to come soon enough. Emerald was chosen as one of the top colors of 2013. It has always been a favorite of mine to incorporate into my jewelry pieces but I am especially excited to start picking up some different pieces and experimenting. A hot bag or pair of emerald hued heels could be an exclamation point at the end of your outfit. Don’t forget your nail polish and eyeshadow too! Believe it or not, there are people who still stick to the rule of no white before Memorial Day or after Labor Day. That is not the case anymore! Take a chance on winter white. They are some gorgeous jackets and chunky knits in white that are completely autumn appropriate. Its not just our wardrobe that needs a makeover when the seasons change. Our beauty routines do as well. With Fall comes a little colder weather and drier skin. Be sure to start using a little heavier creamy cleanser and a heavy moisturizer (still with SPF of course!!!) Not everyone needs to use a cleanser twice a day but definitely moisturize in the morning and before bed. I’m still loving my Tru Renewal especially the boost spray which adds a little extra nourishment. I stick to exfoliating once a week as it can be a little harsh on the skin. I’m also loving Armani’s new Rouge Ecstasy CC lipstick. One of my least favorite things about colder weather is how dry my lips get! 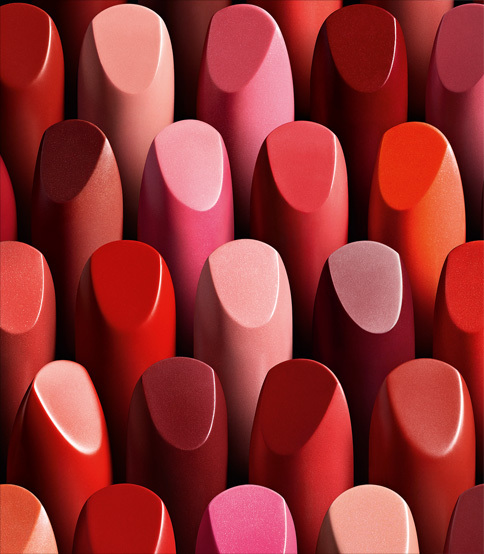 This CC lipstick acts as a lip balm but in an amazing array of different colors! What trends are you most looking forward to trying out for Fall 2013? What are your Dos and Donts? Ramona, CANNOT WAIT for more RHONY!! It’s been waaaaaay too long! !